I believe more strongly than ever in the morality of the Bible. Any society that ignores biblical teachings about right and wrong will slip further and further into decay. How much further can we slide before God decides to wipe His hands of us? I don’t hate homosexuals. Although I don’t understand them, I am not the least afraid of them. My wife and I attended a large gay expo in New York City a few years ago to visit a gay friend and see his dance group perform. He’s someone I enjoyed talking with and I didn’t feel the least uncomfortable being around. Does that sound like fear or hate? But the Bible says that the practice of homosexuality is a sin. It lists a number of other sins, too. Anything that can be described as “my way” rather than “God’s way” is a sin. What too many people ignore is the fact that God didn’t create a chart giving sins an acceptability rating. He doesn’t view one sin as more acceptable or less acceptable than another. Anything that separates us from Him is sinful–equally sinful. Addictions like smoking, drugs, and alcohol abuse that “sinners” have a difficult time breaking their dependence on is bad enough. But how many sins do people not even want to resist and sometimes stubbornly insist on holding on to? Any number of sexual sins fall into that category, including the practice of homosexuality. And adultery. But so does overeating, something God has helped me to overcome. But not until I’d already developed diabetes. The Bible refers to the one and only unforgivable sin–and the practice of homosexuality isn’t it. Neither is overeating. Jesus commands Christians to love one another–and to love their enemies as well–with God’s kind of love. Sacrificial love. So they ought to love gay people just as they would anyone else. Condemning homosexuals is–in my understanding–unbiblical. At the same time, Christians shouldn’t go against the Bible by accepting the practice of homosexuality as biblically acceptable. I’d like to say more, but I’ll leave it at that. I’ve tried to make my points without being insensitive or offensive. But I can’t deny my conservative faith in the Bible any more than people who’re different from me will deny who they are. Please don’t expect me to. If you want to comment about this post, please do so respectfully–of both sides. God loves us equally. 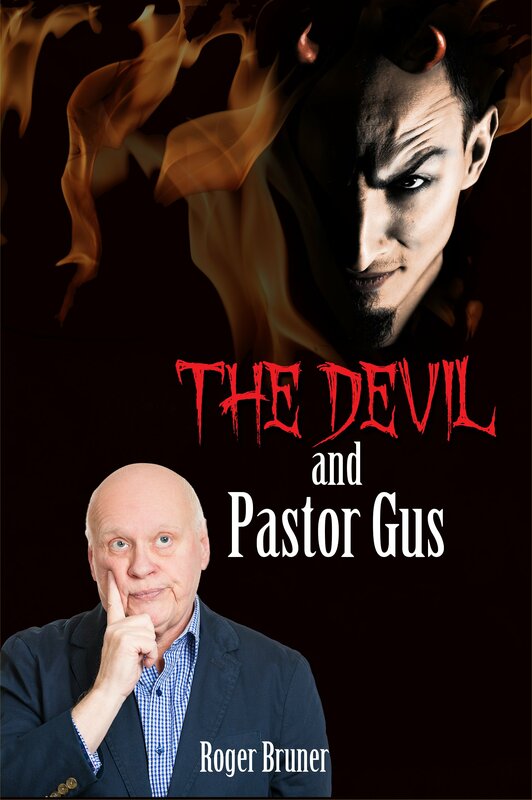 My newest novel, The Devil and Pastor Gus, is available online at Amazon and Barnes & Noble. Go HERE for links to those places. This entry was posted in Adultery, Bible, Conservatism, Conservatives, Homosexuality, Not God's Way, Overeating, Sin and tagged As I Come Singing, Biblical Teachings, Conservatism, Degradation of Morality, Free Christian Lead Sheets, Free Christian Lyrics, God's Love of Everyone, Homosexuality, Importance of the Bible, On Aging Gracelessly, Roger E. Bruner, The Devil and Pastor Gus. Bookmark the permalink. Well, I’m convinced you don’t hate ”gays”. It’s more than obvious you don’t approve of them either. I’m with you. It’s really none of my business how other people run their lives. Each of us alone will answer for our actions so we alone should be the ones who determine our course in life. I’m curious about your mention of the unforgiveable sin. In my estimation it is unfaithfulness, or apostasy of the true faith. According to Christianity, Jesus is the truth. He represents the true faith. And, of course, Jesus was a Jew. The Jews were given certain laws as well as prophesies that were to lead them to Christ. It was the purpose of their scriptures. All male members of the Jewish faith were to be obedient to the law. The wisest Hebrew who ever lived, Solomon, was also a Jew. In his older years he went from worshipping the God of Isreal to adopting the worship of the the gods of some of his foreign wives. This was apostasy in it’s clearest form. And for this it was said his kingdom would be torn from the hands of his decendants. Yet, it is mentioned in the gospels that Solomon will be remembered. So, for some reason, his apostasy willl be forgiven. One of the curious twists of the bible. I wouldn’t say you’re growing more conservative. I’d say you are more inclined to be obedient to Christianity. Less inclined to follow your own path. Content with your religious standing and you desire to remain an example to others around you. TYhis isn’t conservatism. This is just pure faithfulness. Yes, Tom, perhaps I’m growing more in faithfulness than in conservatism. I really appreciate what you said about that. As I explained in my reply to your comment about Part Two, these three posts started out being a single post. So I just kept the title going, even if it wasn’t entirely accurate. Solomon’s acceptance of “foreign religions” as he grew older is certainly one of the great curiosities of history. Doesn’t make him sound very wise, does it? Although we’re all sinners, his sins seem particularly strange. Oh, and back to the homosexual discussion for a minute…what people do in the privacy of their own homes is one thing. Being forced to accept it otherwise is something else. The “unpardonable sin” is something that causes a lot of confusion. It’s referenced twice in the New Testament. “…whoever speaks against the Holy Spirit, it will not be forgiven him, either in this age or in the age to come.” I read a commentary that suggested the real meaning of this is “permanently rejecting Jesus Christ.” That makes sense. The thing is this: It seems to me that the holy spirit is that force which impells Christians to certain acts of faith. It does not move one to act contrary to his/her conscience but helps when there are trials, persecutions, dificulties. Also, as a force that bears witness with each person in his relationship to God I can see how it can be unforgiveable if a person, in his right mind, rejects that internal witness to persue a course contrary to God. Judas Iscariot is such an example. Surely he will not be forgiven. As for Solomon: here is a man given exceptional privileges and insights with the true god yet later abandoned these things. Perhaps, being a Jew, and not a Christian, he was not anointed with the spirit in the sense we are speaking and thus will be in line for a ressurection. This is pure conjecture. Love these thinking-cap sessions.